Not all gemstones are created equal. In fact, almost all of them differ on one or the other factors. Some stones sparkle brilliantly in light, some have rich, deep colors, some are free from impurities, while some impress us by their weight. All these properties bring out the quality of a gemstone. The value of colored gemstones depends on the properties known as the “Four Cs”, which are color, cut, clarity and carat. While grading a gemstone, the weight is measured in carats and the dimensions (length, width and depth) in millimeters. However, the order of importance of the 4Cs is different in the case of diamonds. 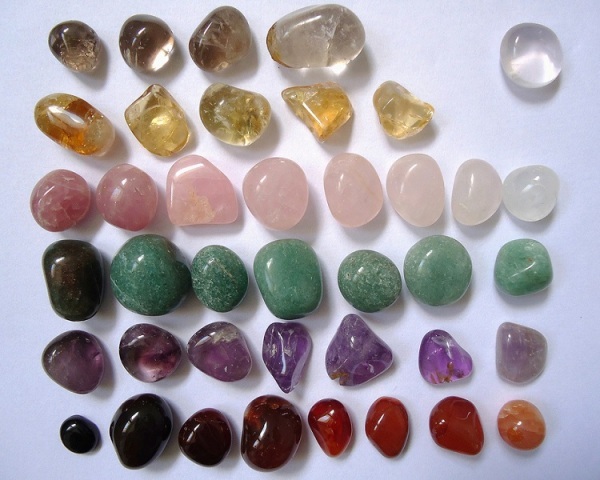 Read through the following lines to know how to evaluate colored gemstones. The color of a gem is judged by three criteria: hue, saturation and tone. Hue is the actual color of the stone, such as red, purple, yellow, green, pink and blue. Stones with a strong, rich and pure hue are more valuable, such as emeralds, sapphires and rubies. Saturation refers to the intensity of the color. Highly saturated colors are very vivid, while less saturated colors tend to be more grayish or brownish. Tone refers to how dark or light a gemstone’s color is. Pink, for example, is a light tone of red. Stones with a dark red tone will be almost black. Though the standards are different for different types of stones, but generally, the best stones are ones with strong hues, vivid colors and moderate saturation. The cut of a stone characterizes how well it is faceted. It should be well proportioned, symmetrical and polished. The facet junctions, where the facets meet, should be crisp and come together at a single point. The surface of a gemstone should be smooth and well polished. A well cut stone has more brilliance and sparkle than a poorly cut gem. The brighter a gemstone’s sparkle, the higher its quality. The clarity of a gemstone is characterized by the blemishes, cracks and inclusions in it. Inclusions are spots, fractures, imperfections, or small amount of gas, liquid or minerals trapped in the stone, which can be seen with the passage of light through the stone. Though all gemstones have inclusions in them, but a stone with fewer inclusions is more valuable. Carat refers to weight of the gemstone. A carat is equal to one-fifth of a gram. Hence, a bigger stone is of more value, than a smaller stone of the same quality. In some varieties of gemstones, a larger stone is of more value “per carat” than smaller ones, as larger stones are very rare. Sapphire is one such example. A 3-carat sapphire is more valuable than twelve ¼-carat sapphires.